Aptly named after a fearsome crocodile, this tough looking diver watch is equally at home above or below the water. Few are foolish enough to challenge the crocodile, because the crocodile usually wins. The crocodile, or Caimano as the Italians call them, commands a lot of respect. The same can be said for the Haurex Caimano N1354UNB. Like its crocodile namesake, the tough looking Caimano is equally at home above or below the water. This stylish and surprisingly affordable diver style timepiece is the perfect companion for any adventure. 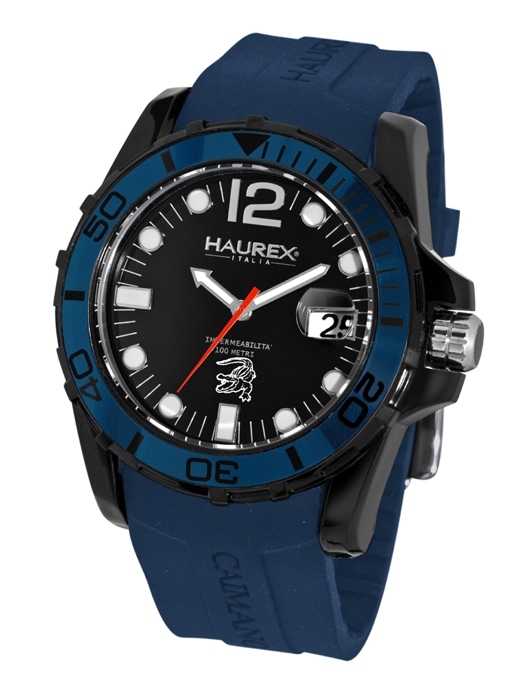 With its stylish good looks and durable construction, you can take the Haurex Caimano anywhere. Wear this handsome diving watch while snorkeling, shopping, or sipping a glass of wine. With its colorful blue rubber band and matching blue bezel, the Caimano N1354UNB is all about fun. The 45 mm Haurex Caimano N1354UNB watch features an almost indestructible polycarbonate case with a stainless-steel core. This diver style timepiece includes a unidirectional rotating bezel that is clearly marked in 60-minute increments, a protected screw down crown, and is water resistant to an impressive 330 feet. The easy-to-read three-hand configuration features an oversize black dial with a bright red second hand; luminous baton hands, and raised luminous dot indices with a bold Arabic numeral at 12 o’clock. There is a convenient date window at 3 o’clock that is viewed thru an integrated magnifying lens build into the scratch resistant mineral glass crystal. A dependable quartz movement that has been engineered to provide years of reliable service powers this superlative sports watch. 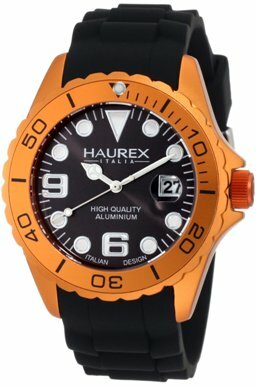 Haurex has a reputation for taking the latest fashion trends and transforming them into extremely wearable and affordable timepieces. 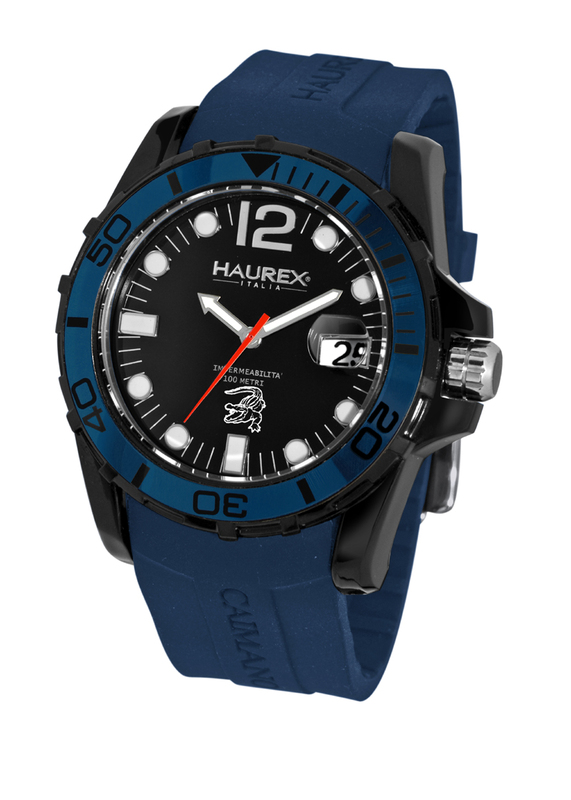 This exciting, young Italian brand has done it again with the Haurex Caimano N1354UNB. When you’re ready to wear a crocodile on your wrist, just contact your nearest authorized Haurex dealer and ask to see the Haurex Caimano N1354UNB. The watch won’t bite, but it will certainly command respect. 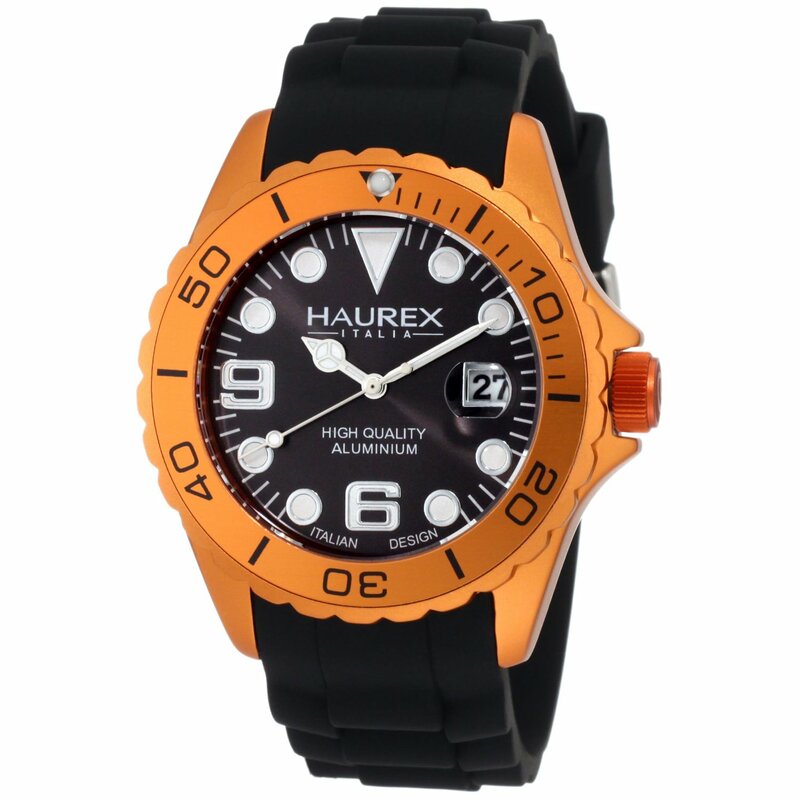 Gevril Group is the sole US agent for Haurex Watches. Contact us by email or at 845-425-9882. For everyone who has always wished their favorite diver watch was just a little bigger. The diver style watch with its signature unidirectional rotating bezel has become one of the watch world’s enduring classics. These practical timepieces became popular during the 1950’s when Jacques Cousteau wore one in the underwater film Le Monde du Silence and Lloyd Bridges was frequently seen with a diver watch in the hit TV series Sea Hunt. Unfortunately, most diver watches haven’t kept up with the times. While wearing a larger watch has become increasingly popular, many popular divers are still sized for the 1950’s. Haemmer has changed all this with its new Navy Diver Collection. The popular Haemmer Navy Diver ND-02 looks a lot like your traditional diver watch. It retains the classic unidirectional rotating bezel that allows divers to monitor their air supply and ascend to the surface safely. The watch is also water resistant to 660 feet like a quality diver watch should be and features a rugged stainless steel case with an integrated stainless steel bracelet. What makes this spectacular diver so unique is its size. The 45 mm case is larger than most diver styles and yet is still small enough to be practical underwater. Many divers will also prefer Haemmer’s signature left-facing screw-down crown. This fine timepiece is definitely no toy. The watch is powered by a Miyota automatic movement and is equipped with a scratch resistant sapphire crystal and screw-down stainless steel back. The convenient date window at 8 o’clock even has an integrated magnifier lens to ensure easy readability when you’re underwater. The authenticity of Haemmer’s bold styling and high-quality construction has attracted a whole new generation of watch aficionados around the world. If you are one of the many people who’ve been looking for a diver watch designed for the 21st Century, Haemmer has just what you’re looking for. 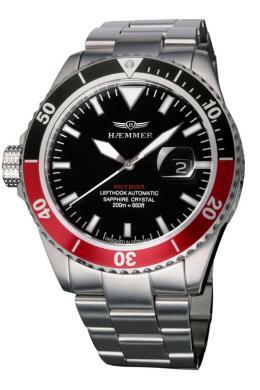 Contact an authorized Haemmer dealer immediately and reserve your own Haemmer Navy Diver ND-02 today. 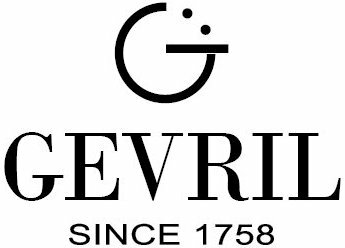 Gevril Group is the sole US agent for Haemmer Watches. 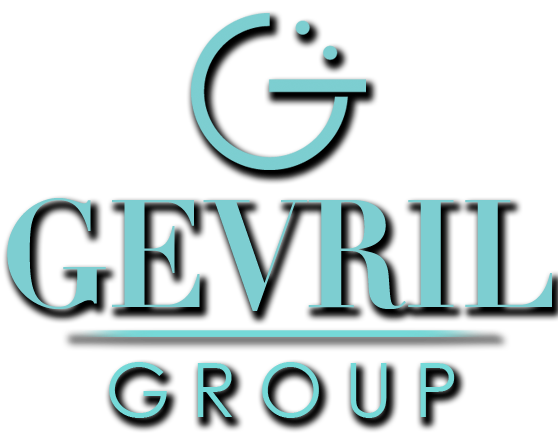 Contact us, by email or at 845-425-9882. 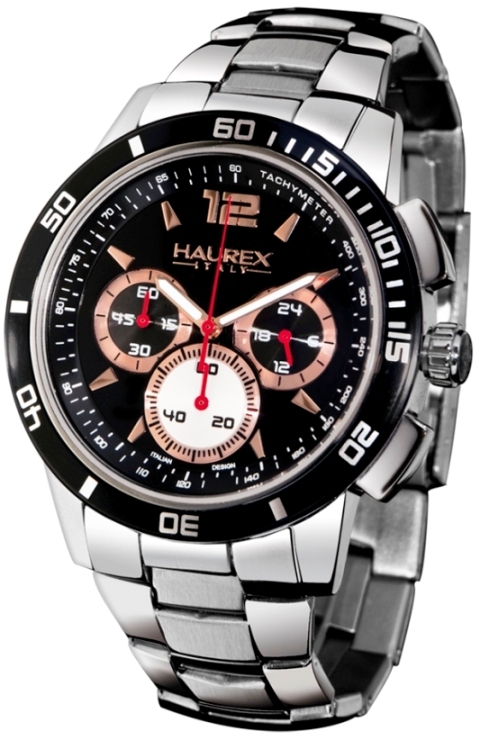 The Haurex PREMIER chronograph is fashion-inspired take on the classic sport chronograph. Confident and sharp, this sturdy piece perfectly complements your casual, cool demeanor, but is prepared to step up when your outing calls for a button-down shirt. Rose-gold is one of the hottest colors in modern watchmaking and the PREMIER showcases it front and center on hour markers, the chrono sub-dials and the hour and minute hands. The black enamel dial provides the perfect backdrop, with luster and contrast worthy of its golden accents. The chronograph features a classic three sub-dial formation: the counter at 6 o’clock is for elapsed minutes and the counter at 3 o’clock records elapsed hours. The third sub-dial at 9 o’clock is a perpetual small-seconds counter, unrelated to the chrono. The central red sweeping-seconds hand performs the job of tracking seconds for the chronograph. Hour and minute hands are coated in luminous paint and the hands of the sub-dials are red for good legibility. Haurex adds two more sport-centric features to give the PREMIER added versatility. The first is a tachymeter on the inner bezel, which measures speed in miles per hour by way of elapsed time. The second feature is a rotating dive bezel, also useful for calculating elapsed time, but the Haurex PREMIER is all sport in appearance. The 43 mm polished-steel case features two carefully finished chrono pushers and a screw-in crown for a water-resistance rating of 165 feet. The crystal is mineral glass and the bracelet, also in polished steel, rounds out the watch’s masculine appeal with large links and a folding clasp. The robust quartz movement is made by Seiko.